Vertigo is a condition in which a person feels as though they or their surroundings are moving when they are not. They may feel dizzy, light-headed, and nauseous because of the imbalance. Vertigo is not a chronic disorder but can be very uncomfortable to the person experiencing it. This is because the patient has a general feeling that things around him are moving and any movement, especially of the head, makes the condition worse. 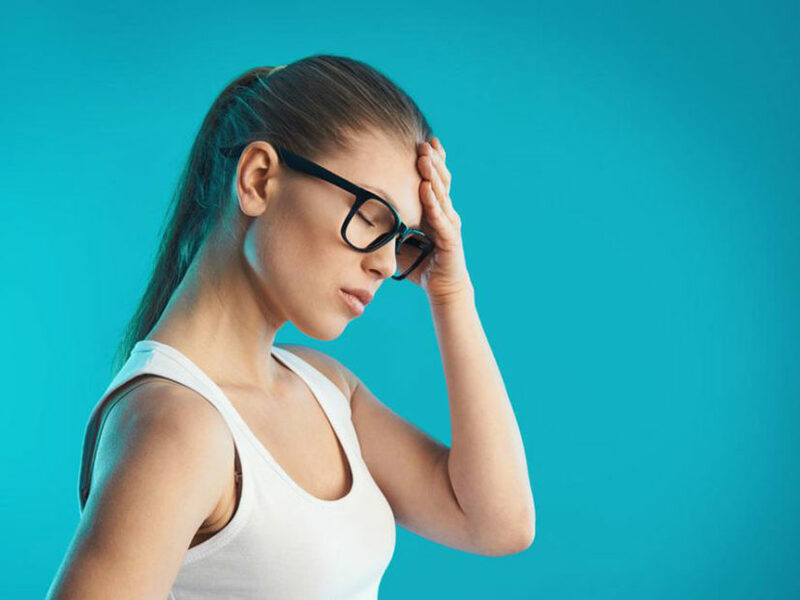 The main cause of vertigo is due to the diseases of the inner ear but indigestion, colitis, a fluid imbalance in the ear, weak functioning of the nervous system, migraine, lack of sleep, brain tumor, epilepsy, fatigue, etc. are other causes of this disease. – Mix equal quantity of Withania Somnifera powder and a quarter of the Acorus Calamus or Sweet Flag powder and store it is a cool dry place. You can take 1 gram of the powder with 250 ml milk once daily. – Mix one teaspoon of triphala churna (powder of equal parts of emblica officinalis, terminalia bellirica, terminalia chebula) with Rauwolfia Serpentine and take this twice every day in hot water, sugar, honey or clarified butter (used mainly in south Asian cuisine). This medication is beneficial if the vertigo is preceded with a headache. – Mix one teaspoon of cumin powder and half gram Nutmeg powder and take it with honey once or twice a day for 6 weeks. – Drinking a teaspoon of ginger juice and honey each day helps improve metabolism and digestion and may help alleviate symptoms associated with vertigo. – Mix juice of half lemon in warm water and add a pinch of salt and pepper. Take this drink daily on an empty stomach in the morning. – Soak one teaspoon coriander seeds and one teaspoon gooseberry powder in a glass of water at night. Strain the liquid in the morning. Add sugar and drink on an empty stomach. – Soak 10 almonds, watermelon seeds, one teaspoon poppy seeds, and two teaspoons wheat grain in the water at night. Make a thick paste and fry it with 2 cloves in clarified butter. Mix the fried paste in warm milk, add sugar and drink immediately. You can drink this milk for a week. – Mix two teaspoons each of honey and apple cider vinegar in warm water. Drink it two to three times each day. – You can take honey with one teaspoon of cinnamon powder once daily to see the difference. – Take a teaspoon of Gingko Biloba powder and mix it with water. Alternatively, you can also drink the juice of Gingko Biloba. – Heat two teaspoons of sesame oil in a pan. Add two cloves of garlic and fry till they turn brown. After the cloves cool off, strain them through a sieve. Take the oil extract and heat it lightly. Now fill your ear with this lukewarm oil and leave it on for 5–6 minutes, then drain off. These are some of the popular home herbal remedies for the treatment of vertigo!